Meet one of the newest inductees of our inventory, a Master-Bilt IHC-48. 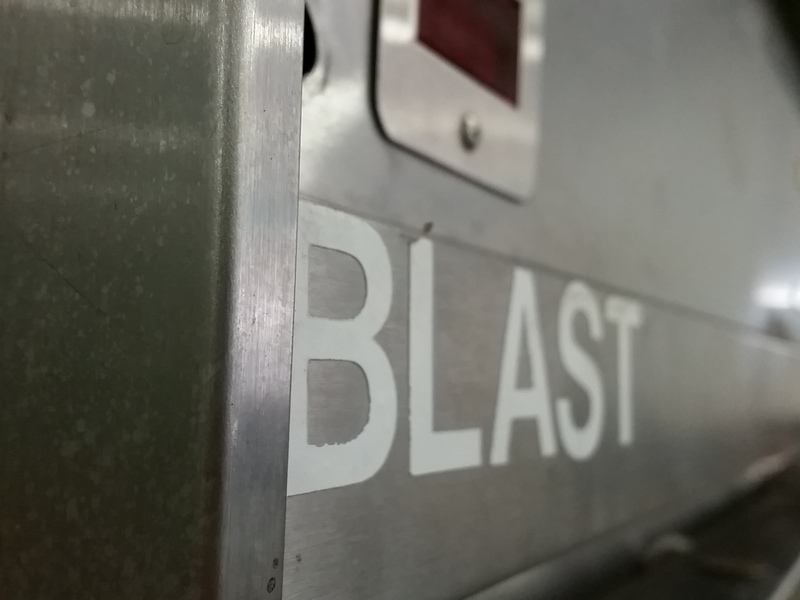 Although it might sound like pretty much any other freezer out there, this blast freezer has a specific purpose. And (to forgive the pun) it does a blast doing so. Before we get to the nilly-willy, you can also use them as ice cream holding and freezing cabinets. In this manner, this has the ability to hold up to 43 three-gallon ice cream containers (one of the Frogs noted that it’s 129 gallons total, or around three barrels of oil) on a range of -40 to 0 degrees Fahrenheit. Slightly cut-off from this picture, you can notice that the thermometer’s digital–pretty much a norm in today’s world of refrigeration. Since these kinds of freezers are build to remove heat quickly, you can also use this as a blast freezer. Perhaps the only difference between this Master-Bilt and other blast freezers is how the cabinets are laid out on the inside. The interior of this Master-Bilt has large shelving to accommodate those large ice cream tubs. Others might have smaller or even larger shelving for different purposes. The important thing to know about blast freezers, though, is that they freeze fast enough so that ice crystals won’t develop ice crystals, which can ruin the ice cream you just created. 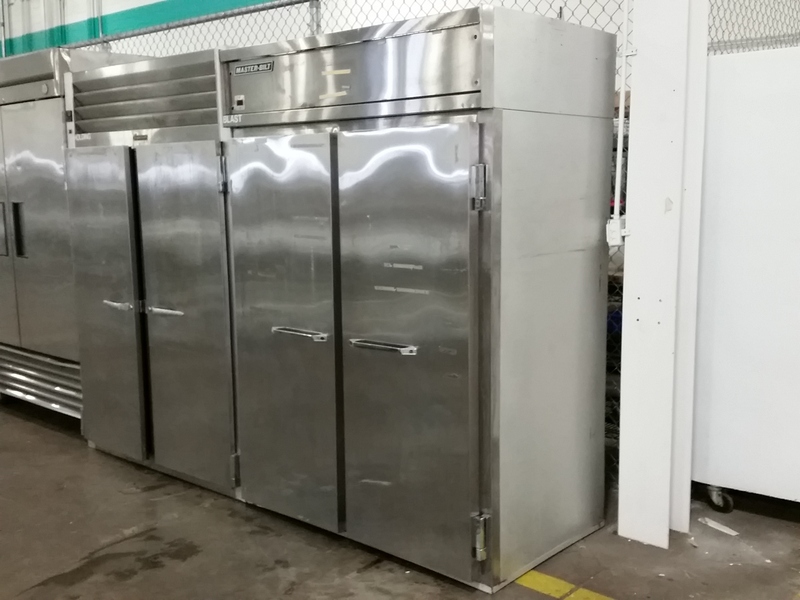 If you’re looking to make and sell your own ice cream, this IHC-48 is pretty integral to the ice cream experience. 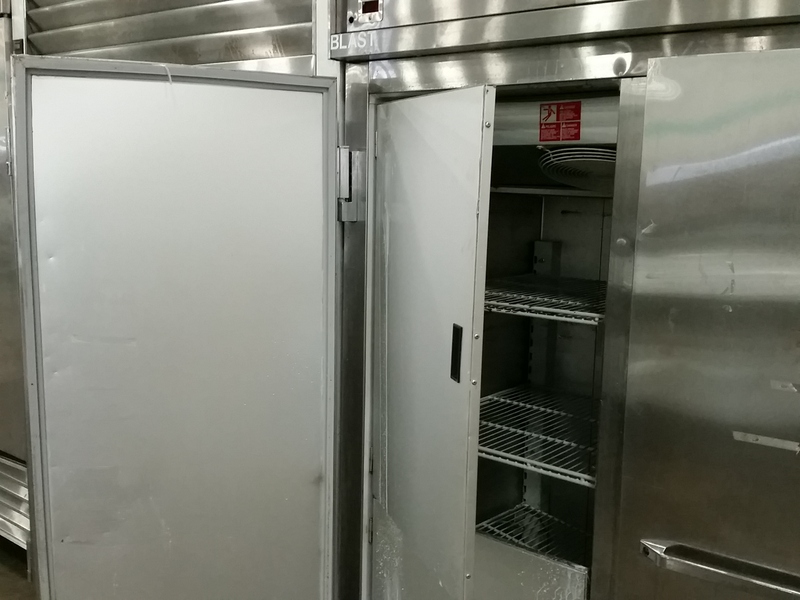 One Fat Frog has this, dipping cabinets, freezers, and other equipment you’ll need to keep your ice cream cold. ← What Would Be in the Restaurant Equipment of the Future?